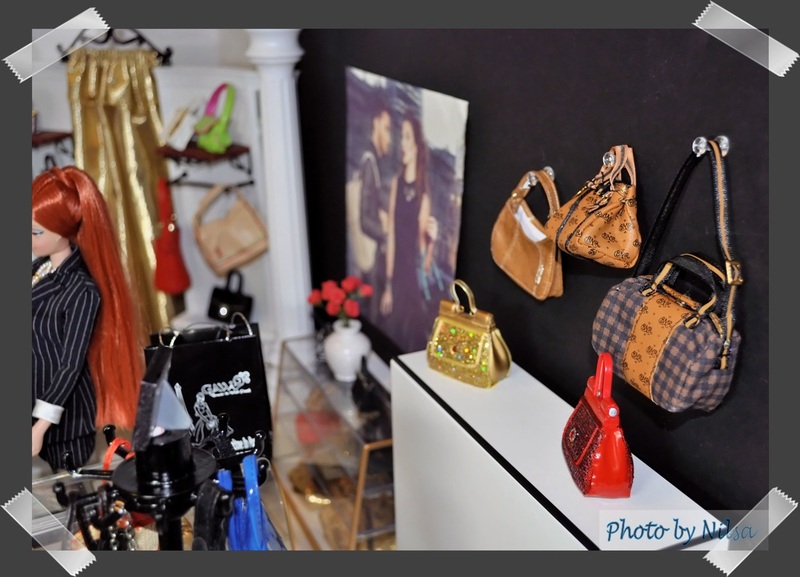 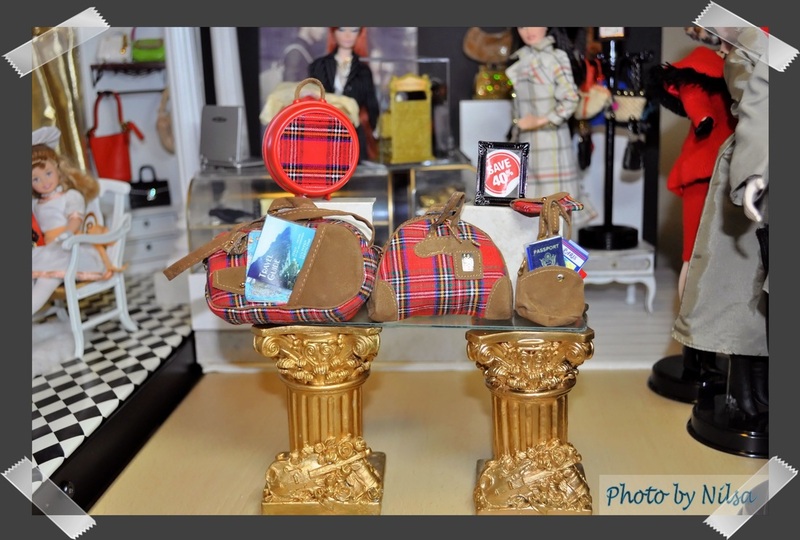 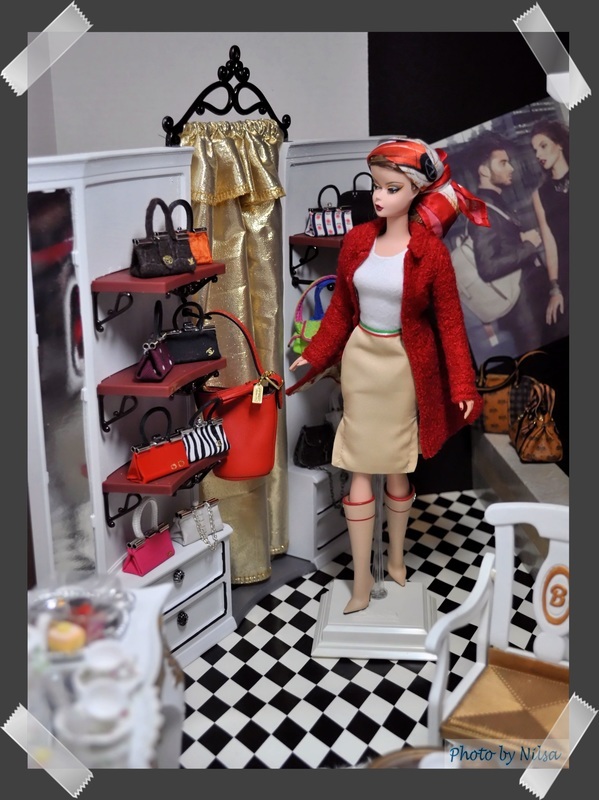 Diorama of a boutique exclusively for all type of bags. 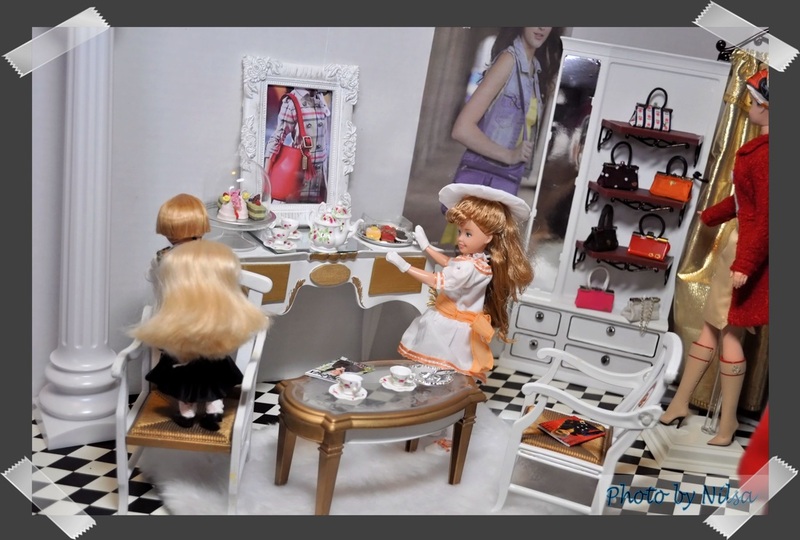 The dolls shop and get discounts! 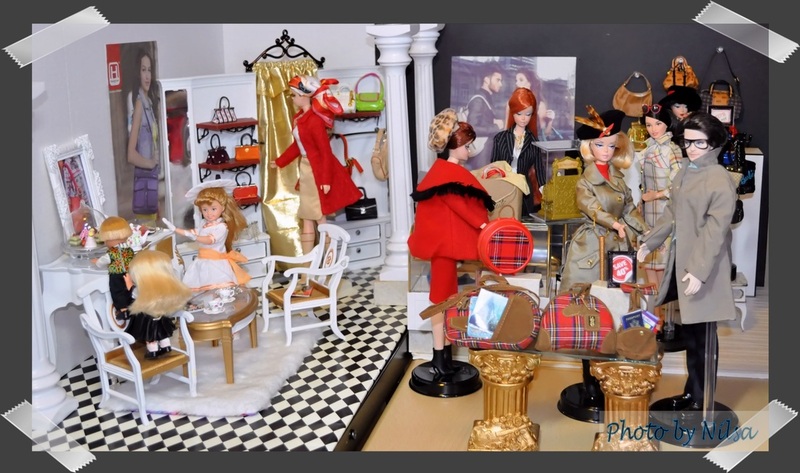 The purses and bags used for this diorama are from Mattel, Integrity Toys, Re-ment, and some are handmade. 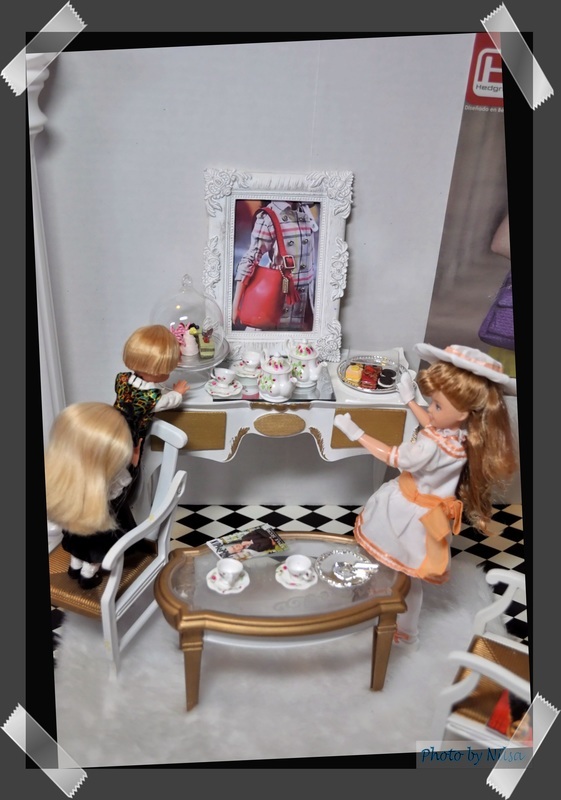 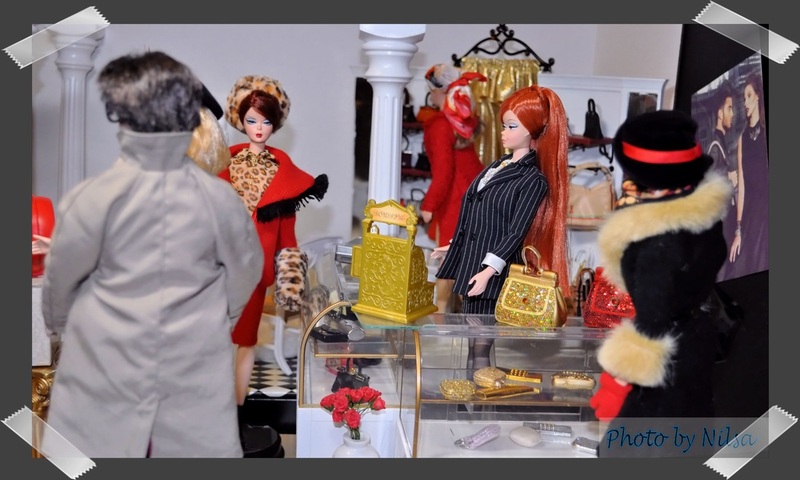 Purses from collector dolls and play line dolls are used here. 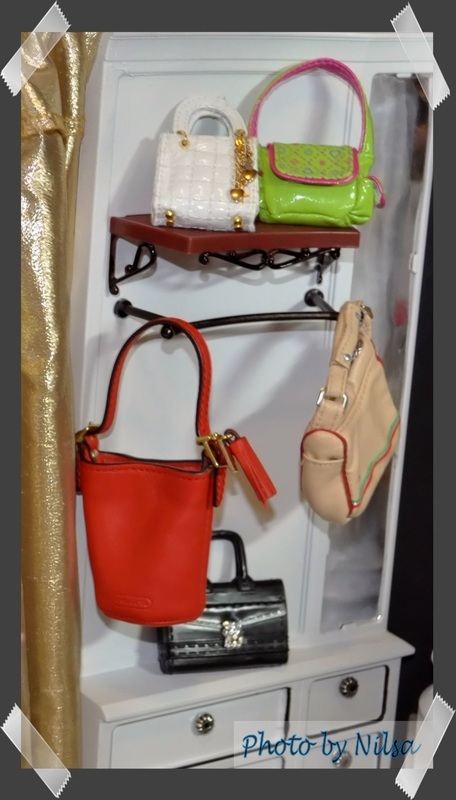 Sometimes, play line purses are enhanced with paint and/or the addition of 'embellishments' from the jewelry sections of craft stores or from Ebay.